It was May 2014 and myself, MissVickyBee, and Carie Harling were having a discussion about ‘planner peace’. 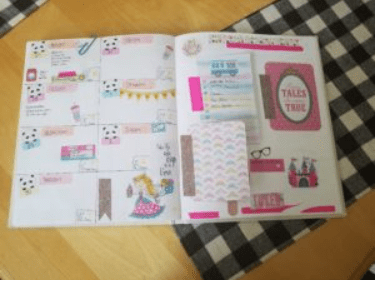 At the time, the planner (and journaling!) community was having a bit of a mini-meltdown. Filofaxes were the rage, Midori Travellers Notebooks had been discovered and Planner Insert makers were even more plentiful on Etsy than jewellery makers. 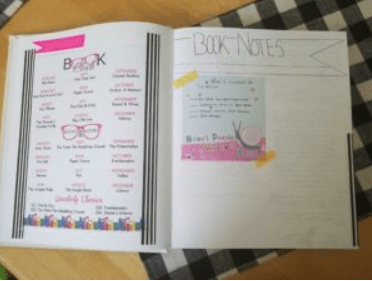 The Bullet Journal was a niche thing and hadn’t hit the mainstream yet, nor had the various new planner collections… even Kikki K was a relatively new thing. You’d have thought this was fantastic and everyone would be so amazingly organised they’d finally have time to spare. ‘Pretty planning’ was rife. Now, I have nothing against pretty planning. If washi tape and stickers keeps you checking in with your planner every day, then go for it. But more and more I noticed people who were joining the community were doing the pretty, but omitting the planning. This is when talk of ‘planner peace’ came about. What was the ultimate system? How could you find it? Did it exist? Was it ring bound? Elasticated? Bound? Did it need a different colour of wash tape? How did one reach this level of time management utopia? The result of our discussion was this. ‘Planner Peace’ and ‘Journal Peace’ was in your head. It was how you organised, not what you put it in. 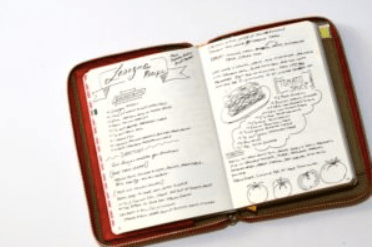 It was how you journaled and what about, not how pretty it looked. It was about making art you liked, or at least enjoyed making, not whether is was any good or not. The system was the key, not the vehicle. As a way to bring this revelation to the public, we created One Book July, which was all about simplifying and getting back to basics. 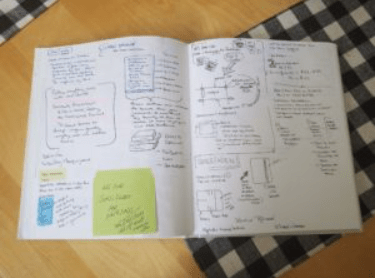 The focus was on the doing and not the being, with everyone encouraged to just use one notebook and one pen for one month, for either their planner or their journal and see where it took them. For some this didn’t help, but we mostly found that these were people already using a pretty organised system and just didn’t feel comfortable with the way they were doing it; however, even in this group, a few found that it was the size of planner that was the issue and hence their problems were sorted out. Some simply couldn’t get to one book but found that weeding out their system was of great benefit. The majority (according to feedback) felt overwhelmingly that having the ‘pressure’ to make their planners or journals look good removed helped them enormously and they were able to ‘see’ where there were holes in their systems, hone in on what they wanted to include, and decide what way of managing and recording worked best for them. Fast forward to 2016. There was a few rumblings early on that perhaps people were going to skip One Book July because they’d already done it two years in a row. Fair enough, I was bored myself. This brought about version 2.0 where you could do the original challenge or you could pick up a new baton and run with it – One Project, One Book, One Month. Again, many people found this useful. The mere act of getting rid of the frou-from and just Getting Something Done and Finished really appealed to a lot of people. But who needs to do that again? What does that mean? WHATEVER YOU WANT IT TO! Tune in tomorrow etc on Youtube for our videos and blah blah blah…..
One Book July is something that myself, Carie Harling and Rhomany from Rhomany’s Realm have been doing for the last several years. 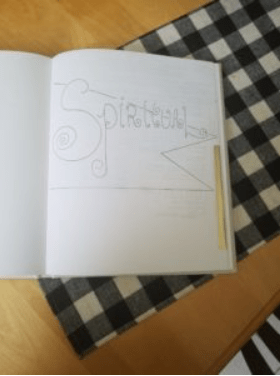 We initially came up with the challenge to challenge ourselves as well as others in the planner community to just put everything away and use one pen and one book. This allows you to just clear your mind of all the noise and focus on what is important to you and what your daily needs are. Every year since that first year it’s been a great success and people started flooding our social media and emails asking what it is that we will be doing this year! In years past I have really loved and enjoyed doing this challenge because I have learned so much. I consider myself a seasoned planner but I constantly crave more and love to change things and play with so many different inserts and stickers and methods. 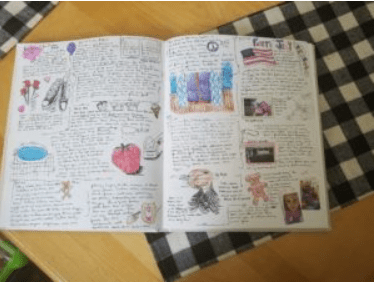 In 2015 I decided to take a plain sketchbook that I found at Michaels and turn it into a book to catch everything! Not only was the size something different but so was the concept. I had a lot of fun decorating the front cover. 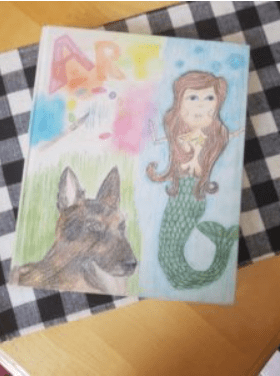 It was easy to do because the cover is made of a canvas and so drawing on there to personalize it was great fun!! I used ballpoint and colored pencil, just that simple! A lot of the setup was inspired by Clark Danger and his youtube channel. 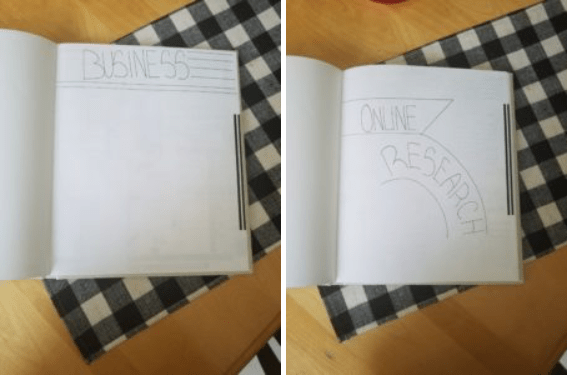 When doing research I found his channel and I felt very inspired with how he put together his journals and kept organized. I also added sections into the journal to help break it up and keep me organized. I placed washi tape on those pages to help me tab to those sections. The sections are setup with anything and everything that you would want to have with you!! I have to say that this was one of my absolute favorite setups that I have ever done! This is the first page of the book and I think it’s a great phrase to remind yourself of everyday. I did a video recently talking about how planners to me are little time capsules and with all your plans and appointments have captured your life at that moment in your life. I will share some of the sections that I decided to place into this book. In each section I had plenty of space to work with and with a blank page I was able to be very creative with how I wanted my pages to be setup! You can add a bullet journal section and a hobonichi section, the options are endless!! I felt so incredibly free with each of the sections and very liberated. I didn’t have any lines to follow and my brain just wrote down and did what it needed to do. I think that having preprinted planners is great because it guides you but it can also limit you on your own creativity and doesn’t all you to focus on what you need instead follows what someone else needs! In the above pictures on the left, is an example of how I would lay out my week. With such a large amount of space to work with I have room to add lots of ephemera, notes and stickers and just have fun!! On the right hand side, the picture features some research that I was doing with water colors. 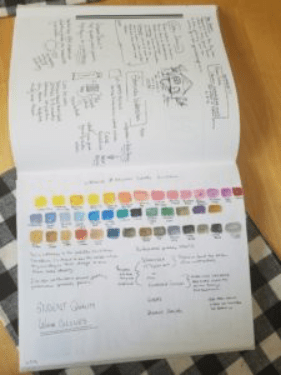 I like to have a palette in each journal that I work in and here I have them laid out just to see what they look like and how they play in this book! Adding a section on this post (left picture) it I captured what I wanted to keep in this section. It was great to help me not just pile everything in or use the sections not in the way I intended for them to be used. I initially was worried that writing notes would pose the problem of information getting lost but I actually think that I found a way to easily find everything I need. I drew lines around some information, added pictures and post its to help separate things I did not want to get lost and the result was something I just loved!! I still adore how all these pages turned out!! If you know me then you know I love to memory keep and I did just that on these pages!! I sketched images of shows that I liked watching and used my pictures of memories that captured those special moments!!! Last year I used a 5×7 Barron Fig book and did a lot of memory keeping in that book as well. I didn’t utilize it quite like I used my sketchbook but it’s still something I loved doing. 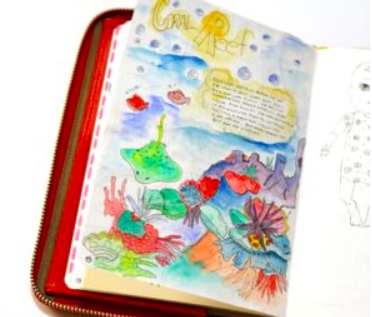 I took that journal with me on our family vacation and captured many pieces of ephemera and many water color images. 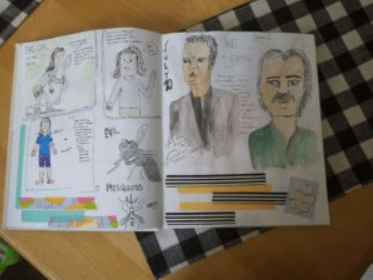 I thought I would feature the sketchbook version of my One Book July because I feel as though it’s one of my most creative endeavors to date!! I hope you join all of us this year as well. I can guarantee that even though you may hate it or feel challenged for the month in the end you will feel something and learn something new about yourself. It will definitely improve on your planning and organizing of your thoughts! As you’ve already read above, One Book July sprang from the urge to simplify. To reevaluate. To mentally “clean house.” For me, it was like a brain dump for my planning system. I had been feeling the need to change things, to shake things up, and to try something new, so the conversation we were having was serendiptious. That first One Book July was my introduction to using a Tiny TN (generally defined as a TN that is Personal size or smaller). Using that small planner for the month changed my planning forever. 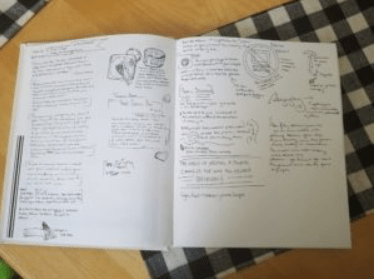 The following year, I tried using the Bullet Journal system because I’d been curious about it and hadn’t tried it yet. Last year, I focused on cleaning up my projects. Every year of One Book July teaches me something new. Except for the reference and finance materials that I keep in a ringed planner on my desk, all of my “actual” planning is always in one book anyway… but I don’t let this stop me from participating in One Book July. This year, I’ve moved everything — everything — that has to do with my planning into my Every Day Carry. Any projects I had been working on digitially have been moved into my planner. If you’re in one book all year, please don’t let that stop you from participating!! Sharing with the rest of us how you use your one book is incredibly informative! Keep an eye out on YouTube for our videos introducing this year’s “extra” challenge and, at the end of June, for our videos showing what we’re each using this year. I heard about one book july in Caries, Vickys, Ali Brown and John Rushs YouTube videos before. Usually I am a 3 planner person. One for everyday/everywhere carrying, one for work and on wich houses diary and inspirational stuff. Thanks for any inspiration you gave me and you’ll give in future!!! Yes, starting early, or at least having an idea of what you want to do is what stops you stressing out about the challenge part. That gives you 31 days to concentrate solely on HOW you plan/journal. I have about five One Books set up and ready to go! Whooo-hooooooooooo…but which ONE will I choose? Hmmm? Well this Planner Tramp is all in. I return from Maine July 1st, and will hit the ground running, although I may miss some of the vids initially – count me in! Thanks, Ladies. I think I’ve found my tribe. I’ve been planning since the late 1980s (outing myself as a former yuppie with a DeskFax and Time Manager), and my books have always been more functional than pretty. Don’t get me wrong, I like pretty; I just don’t do it. By now I know pretty much what information I need to keep, and have evolved a system that works for me. One book feels really comfortable. Aside from using washi or highlighter to index the pages, it’s one book and one pen for me. I debated a ringed personal or a TN, but finally decided on a Moleskine; my bag feels lighter already. 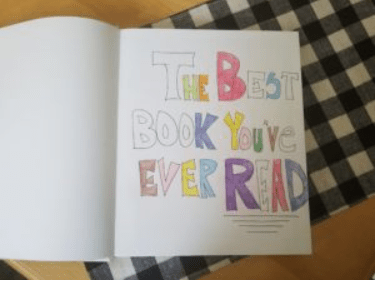 Pingback:It’s time for One Book July ! !